CornerHouse is a registered charity (1114649) which offers emotional and wellbeing support in Woking, Runnymede and Spelthorne. CornerHouse supports people aged 18+ who are dealing with a wide range of mental health issues by supporting independence and promoting recovery. Our aim is to support people to improve their mental health and empower them to make wellbeing choices. 1 in 4 people are affected directly by a mental health problem in their lifetime. However everyone can be considered to be affected in some way, as carers, partners, friends, colleagues, and neighbours to those who personally experience mental health problems. CornerHouse therefore benefits the community by providing a safe place for people to attend, get support and connect with others who can relate. CornerHouse has played a key role in facilitating a large number of thriving self help groups in North West Surrey. 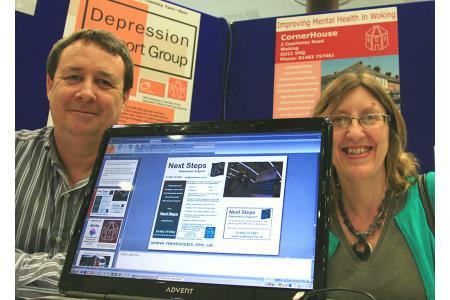 CornerHouse receives referrals from GPs and local mental health teams but most are self referrals often heard by 'word of mouth' or internet searches. CornerHouse continues to grow and develop, offering new initiatives such as mindfulness drop in groups and courses, postnatal depression support groups and much more.